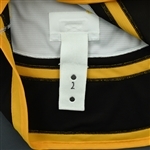 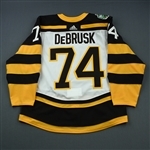 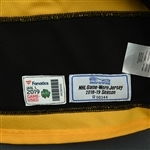 Jake DeBrusk wore this white jersey while playing for the Boston Bruins during the second period of their 4-2 victory in the 2019 Winter Classic over the Chicago Blackhawks at Notre Dame Stadium in South Bend, IN. 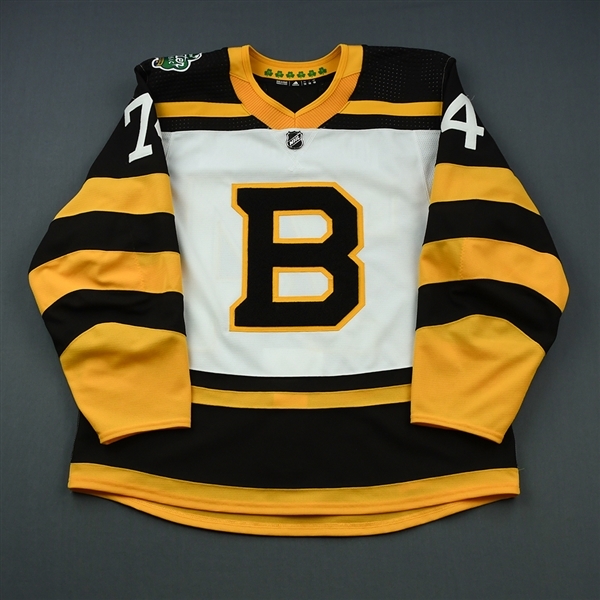 DeBrusk was on ice for 16:06 in the game. 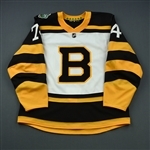 The Bruins' white Winter Classic jerseys were a masterfully crafted homage to the 1930s, featuring a brown chenille crest, white felt numbers, and brown and yellow accents.